Setting up SSH connection to the Pi is a very good idea if you have only one TV in the house and in any event, it allows you to control to Pi from any PC in the house. To get started you will need to download an SSH client. I use Putty (www.putty.org). 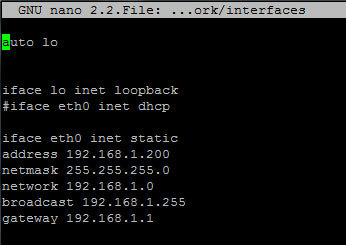 You will need to know the following IPs which can be obtained by opening up a command line prompt and typing ipconfig. These are the IPs that I use. 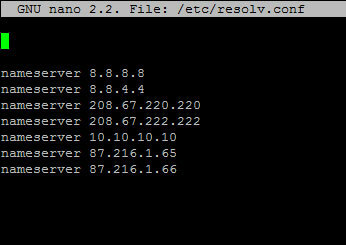 Note: the address IP will be the IP of the PI on the network and I have chosen 192.168.1.200. Now to configure the Pi. Go up one directory to the root by typing: cd .. Comment out the line: iface eth0 inet dhcp and add the IP addresses for: gateway, netmask, network, broadcast and address. Now we need to configure Putty to connect to the Pi. Go to your PC and download and install Putty (www.putty.org). now you are logged into the Pi.